Does your office building have an elevator that people use to reach your level? Or is there a parking garage or subway station close by that you know commuters use frequently? 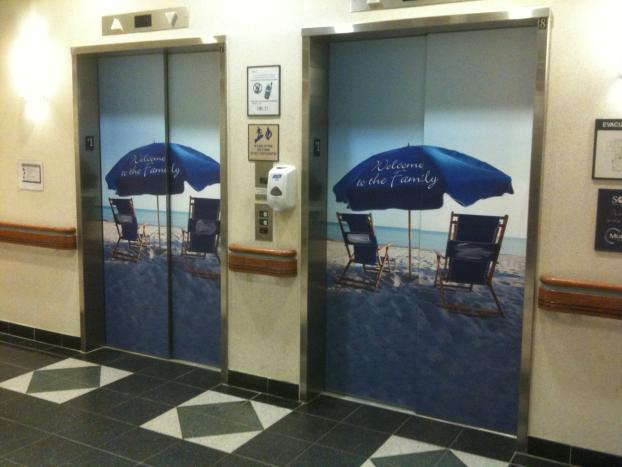 If you’re looking for a fun and interesting way to further promote your brand, consider adding custom elevator wraps to also attract attention and get the word out about your business. Think about how many times you’ve used an elevator in a mall, garage or hotel. 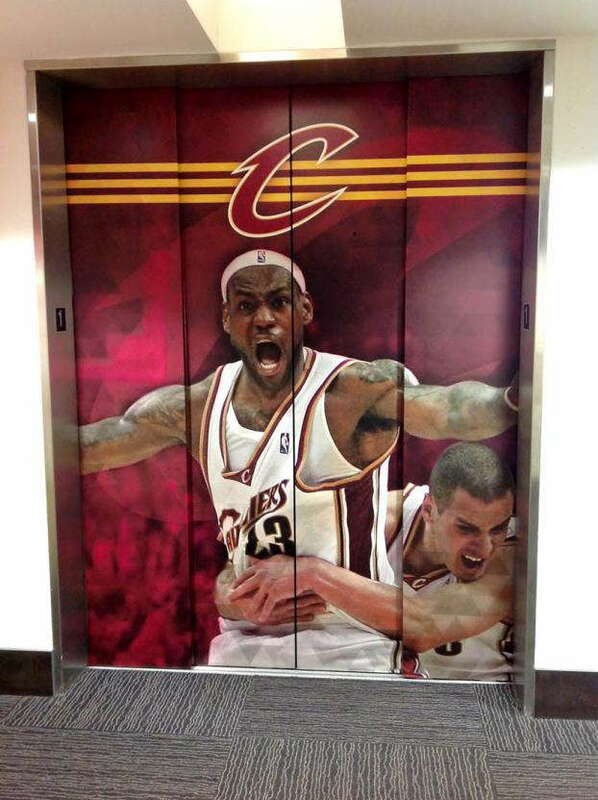 Didn’t the images and graphics on the doors of the elevator catch your eye? What specifically grabbed your attention and made you ponder the image? You can use your own experiences to help you create and develop the wraps you want to use to put the best elements of your brand forward for public consumption. At SpeedPro Imaging Eden Prairie, we’ve got the tools you need to keep your brand in full view of the community around you. If your company or organization is located in the areas surrounding Minneapolis, St. Paul and Eden Prairie, reach out to our studio to get more information and begin your new customized project. Become the focus of everyone’s morning commute with a custom elevator door skin. When people get ready to travel to work, they’ll see your brand as the elevator doors open. As they go to work, they’ll see and remember your branded message, thinking about your business the whole way in. Allow your custom graphics to create a visual impact on the move that follows your customers wherever they go. 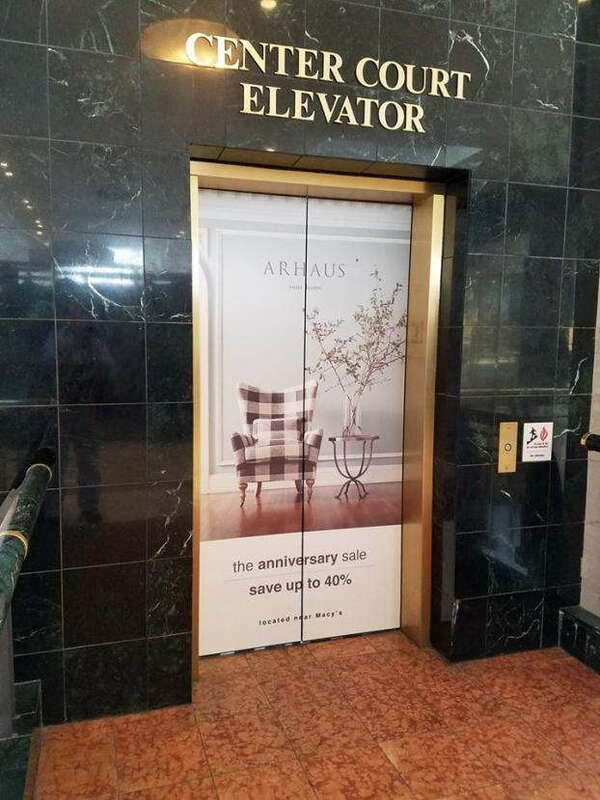 Let your elevator wrap paint a picture for your customers to visualize and remember as they journey throughout their day. The options for what to place on elevator wraps are endless. Whether your goal is to promote within your community or garner a following with a broader customer base is up to you. It’s even possible to create a custom elevator skin that leads to people visiting from out of town. Place a specific product’s image on your elevator door to increase the sale of the item. You might also want to create a visual message that informs guests of where you’re located and the kinds of services you provide. 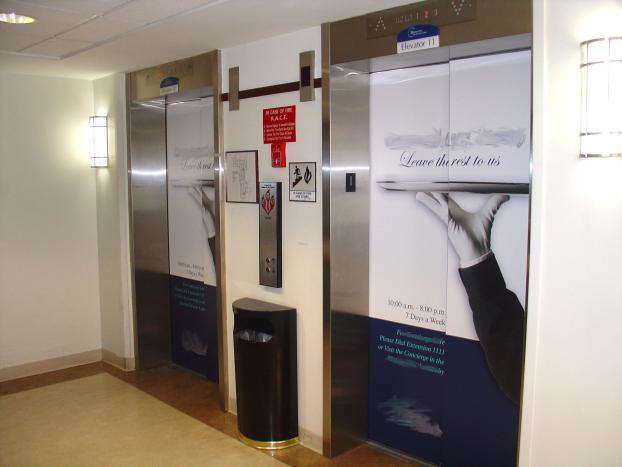 Each elevator wrap that we provide is made out of our custom vinyl material. Its thin structure makes for a smooth application — simply rolled onto the metal frame. We’ll pair your wrap with an adhesive that matches your branding needs. For example, we’ll choose something that’s easy to remove and sticks for a shorter period for a wrap that you only need for a brief period. On the other hand, we can provide you with adhesives that last much longer if need be, securing your branded image for as long as you need. Call us today to begin setting up your consultation appointment, and we’ll meet with you to discuss the details of your brand.